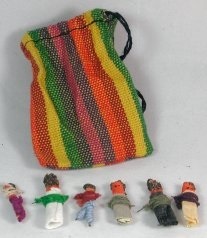 Each worry doll is about 25mm (1 inch) long and is surprisingly detailed and decorated with Guatemalan fabrics. 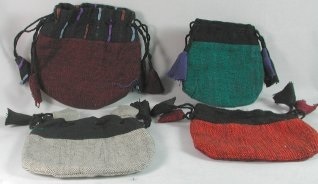 They are supplied in sets of six in a fabric draw string bag in traditional Guatemalan designs. Many children and adults find worry dolls a great comfort. You can buy single bags or larger quantities at discounted prices. As the dolls are small and contain wire they are not suitable for small children. All of of our worry dolls are fair trade products. 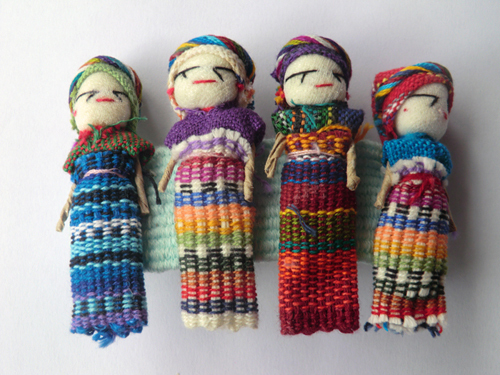 In the folk tradition of Guatemala in Central America, children use these worry dolls to remove their worries. Before going to bed they tell a worry to each of the Guatemalan dolls. In the morning the children wake up without their worries, which have been taken away by the dolls during the night. Each hand decorated box holds five or six little worry dolls and a slip of paper telling the story of Guatemalan worry dolls (or worry people). Because of postage costs we only sell boxed worry dolls in dozens. 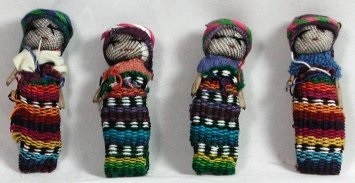 We have some larger Guatemalan Worry Dolls which are available singly or in fives. They are 5 to 6 cm (over 2 inches) tall. They can be supplied as they are but you can also buy them with a fabric drawstring bag. 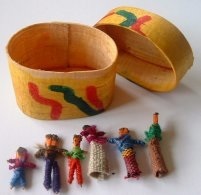 Like the smaller worry dolls, they contain wire so are not suitable for small children. 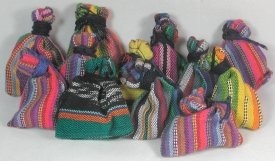 Drawstring bags are suitable for large Guatemalan worry dolls. We have special prices where a bag is purchased with worry dolls. We now have some hair slides incorporating worry dolls which are available in two sizes. We have heard some anecdotal evidence about the successful use of Guatemalan worry dolls in hospitals and in schools. Several hospitals are using them in children's wards particularly where serious illnesses such as cancers are being treated to calm children and remove some of their worries. In education they are also being used in schools and units for children with behavioural problems. The worry dolls have apparently helped with underlying problems in children's lives that have adversely affected their learning and behaviour. So far we have only seen anecdotal accounts. We would be very interested to hear about any research or studies on the use of Guatemalan worry dolls in therapeutic settings. If you have any links to articles, papers or dissertations please let us know. Spectrum Wellbeing has been operating a mail order and internet service for nearly 20 years and we are now based in Reading. We aim to provide efficient service and good quality products to give customers confidence to continue buying from us. We specialise in crystal and Tibetan bowls for healing and meditation but sell a large range of other products. If you have any questions or comments, please get back to us. The web site has recently been redesigned, which we hope is an improvement. If you notice any problems or errors please let us know and we will endeavour to put things right. 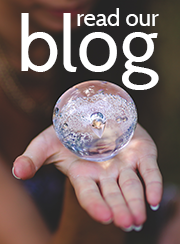 You may be interested in our sister site The Blue Sun which is run by Pat in Wales. Please click on the link below to go to her website.